Sympathy cards are never easy to make especially when you need to make one. Typically sympathy cards are made more feminine than masculine. The card I made today is actually for two young men who lost their father to cancer. I chose to use a more subdued palette for this reason making the card more masculine. I am in love with my new Hero Arts Leafy Vines cling stamp. Perfect for full card coverage. Come back at noon EST for this week's Dynamic Duos post! 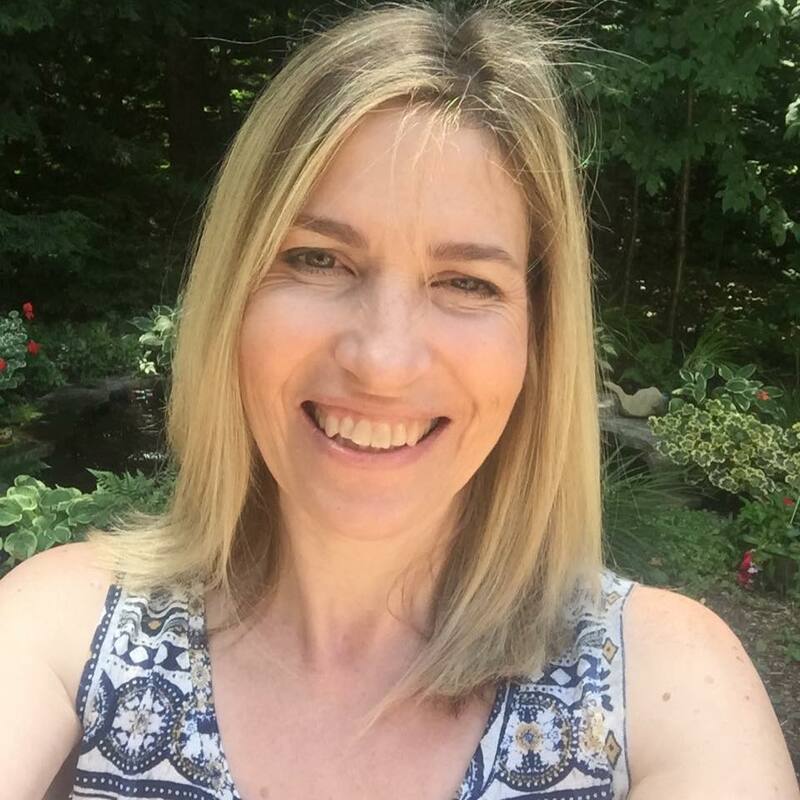 This is beautiful Tracey. I love that large stamp and the wood embellishment is perfect! God bless the young men who lost their father. Will certainly say prayers for them. Your card is perfect for such a tough remembrance. Oh my, this is lovely. A little bit of a departure from your normal style and I LOVE it. Sorry that it is for such a sad event, though. The family will certainly appreciate it. It's one of my all time favorite stamps, Tracey, and you've used it beautifully! Stunning!!! This is a fabulous background stamp and the little wood veneer leaf is the perfect masculine touch. This is perfect! Love the use of wood veneer! So very sad for these two young men who lost their Dad. I think it's finally time for me to get Leafy Vines. What a simple beauty and perfectly masculine. I love the soft colors of this for a sympathy card, Tracey, whether male or female, but I think it's just right for the young brothers. I'm so sorry. Oh my gosh this is so elegant and beautiful ! Love that stamp too Tracey! So sorry you had to make this card, Tracey, but it is gorgeous and I'm sure it will be greatly appreciated. Definitely the hardest type of card to make but you did it so elegantly. What a gorgeous image! Gorgeous bday card with flowers and butterfly...pretty colors! 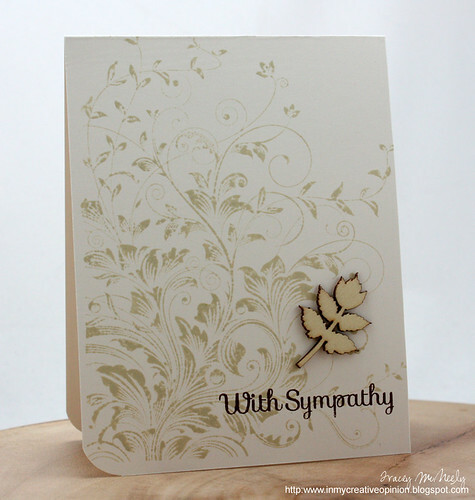 And, wonderful sympathy card with lovely background stamp with wooden embellishment...love it! wow! this is stunning! i love the soft green...the tendrils are so pretty. Wow! Very fitting sympathy design! Such a beautiful card for such a sad occasion. That Hero Arts stamp is just gorgeous, and I will be putting it on my wish list. That wooden leaf is a nice touch. Sympathy cards are never easy to make ~ you did a phenomenal job with this one. Another beautiful new stamp and very fitting for masculine cards. So sad to hear of another death to cancer, and how devastating to these young men.